Japanese mobile phone maker Sony Mobile has been long rumored to plan the launch of a mini version of its Xperia Z1 smartphone, supposedly called Xperia Z1s, and it seems that the release date is drawing nearer. Following various leaked info and photos with the device, we can now admire it in a new image, this time sized up against its bigger brother, the Xperia Z1. The handset, codenamed Amami and expected to arrive on shelves as Sony D5503, is said to sport a 4.3-inch touchscreen display, but to pack the same internals as Sony’s current flagship device. 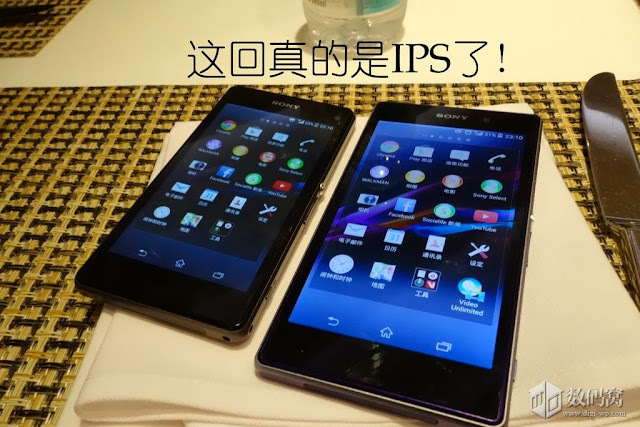 The newly leaked photo comes from a Digi-Wo user, who claims that Sony might pack the smartphone with an IPS touchscreen, as XperiaGuide notes. No official confirmation on the smartphone has emerged until now, but it might not be too long before Sony decides to unveil it to the world, so stay tuned for more on the matter.